Former Massachusetts Gov. Bill Weld has announced that he will run for the Republican nomination for president in 2020. After forming an exploratory committee, former Massachusetts Gov. Bill Weld headed to New Hampshire Thursday to meet with voters. 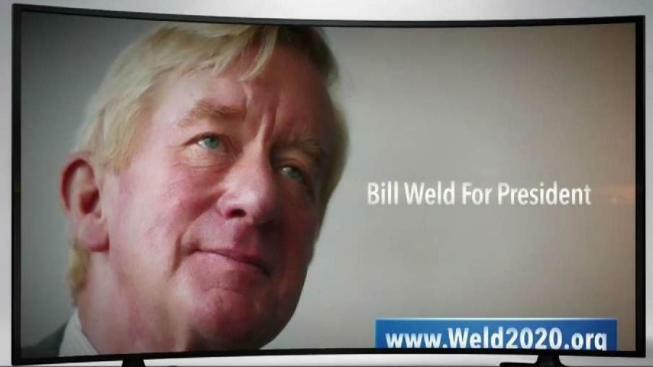 The Massachusetts Republican Party called Weld's decision to run a "grandstanding political gambit that reeks of political opportunism," criticizing him for appearing on the Libertarian ticket against Trump in 2016. "After abandoning Republicans, Democrats, and Libertarians, Weld demands that faithful Republicans consider him as their standard bearer," MassGOP Chair Jim Lyons said in a statement. "Even Benedict Arnold switched allegiances less often! We Republicans will put partisanship aside, reach across the aisle to Democrats, and Libertarians, and reject Bill Weld."